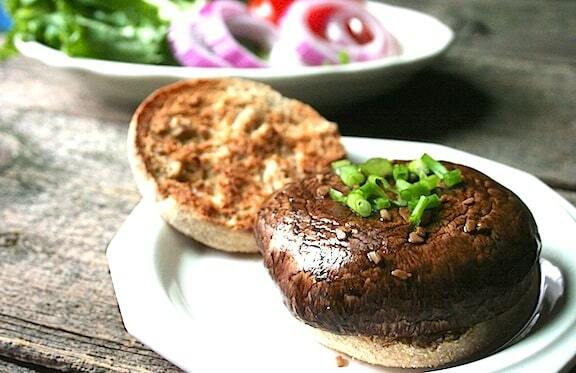 The easiest route to a grilled vegan burger is to simply lavish portobello mushroom caps in a good marinade and plunk them on the grill. To vary this, simply choose different marinades and accompaniments. This is good with or without buns, and works well on an indoor electric grill as well. If you don’t have either kind of grill, simply prepare in a skillet. Delicious with lightly cooked or grilled corn and a big salad or any kind of potato salad. Photos by Rachael Braun. Stem the portabellas and wipe them clean. Pour the marinade of choice into a shallow container and arrange the portabella caps, underside down, in a single layer. Let stand for at least 15 minutes, or up to an hour. Pour unused marinade back into a bottle for finishing the dish; you’ll have enough left over to use for another occasion. To grill: Prepare grill. Grill the portabellas, underside down, for 4 to 5 minutes. Brush generously with more marinade, then flip and grill for 5 minutes longer, or until nicely charred to your liking. To cook in a skillet: Heat a shallow layer of marinade in the skillet. Cook the portabellas, underside down, for 4 to 5 minutes. Flip and cook for 5 minutes longer, or until browned to your liking. Add a small amount of additional marinade if needed to keep the skillet moist. 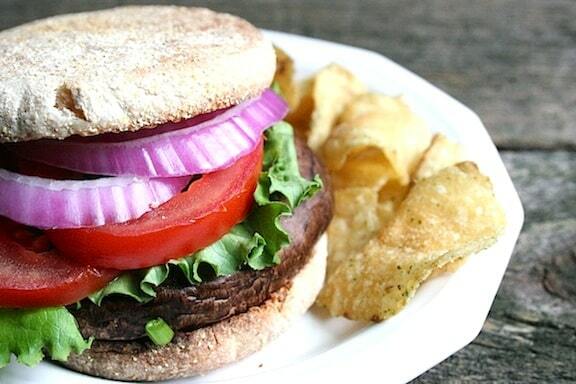 Serve on whole-grain buns with whatever other accompaniments you’d like. You can place a variety of these condiments on the table, of course, and let everyone fix their own sandwich. 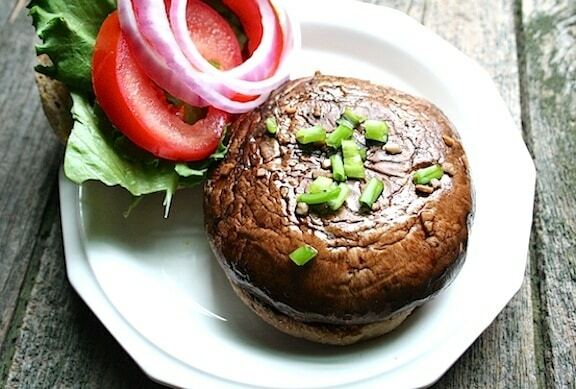 Here are lots more vegan burger recipes. I used the Spicy Coconut-Lime Grilling Sauce to marinate my shrooms before bbqing them. 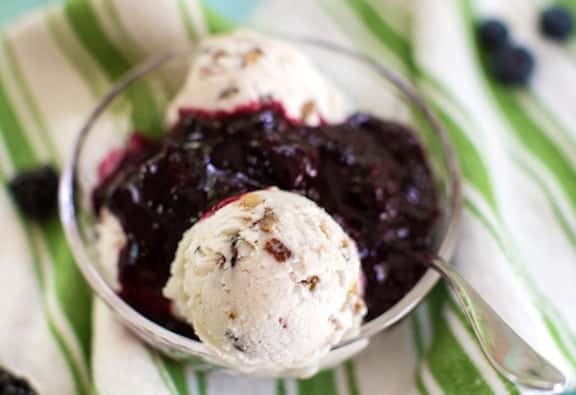 This was a favorite at our bbq table.